The Ottawa Symphony – U-Ottawa Orchestral Mentorship Program was conceived in 2005 under the direction of Prof. David Currie, to provide University of Ottawa specialized, intensive work in performance by young instrumentalists who have already achieved a significant level of proficiency on their instrument and whose career goal is to become professional orchestral musicians. This unique Mentorship Program is the only one of its kind in Canada. The goal is to provide these students with an exceptional opportunity to gain the valuable professional and technical skills and knowledge they need to move on to a successful professional music career. 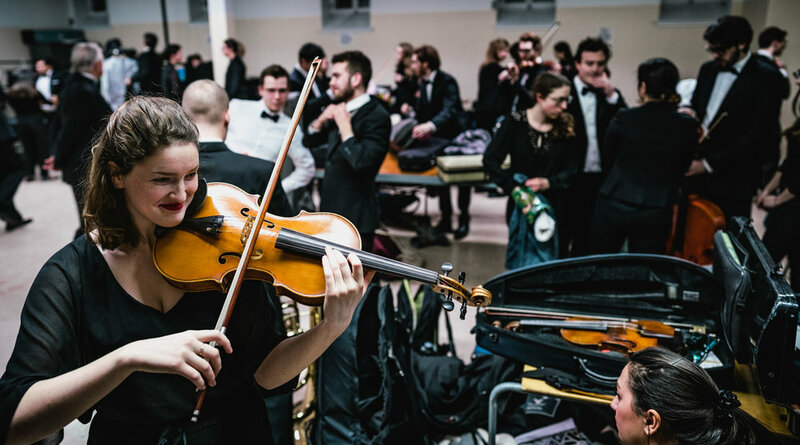 All students must audition for the opportunity to play in the orchestra, and they must become and remain members in good standing of the Ottawa-Gatineau Musicians Association. Each year, up to 25 senior and highly-talented University of Ottawa School of Music students audition and are selected, or after initially being selected, continue to participate in the Mentorship program. 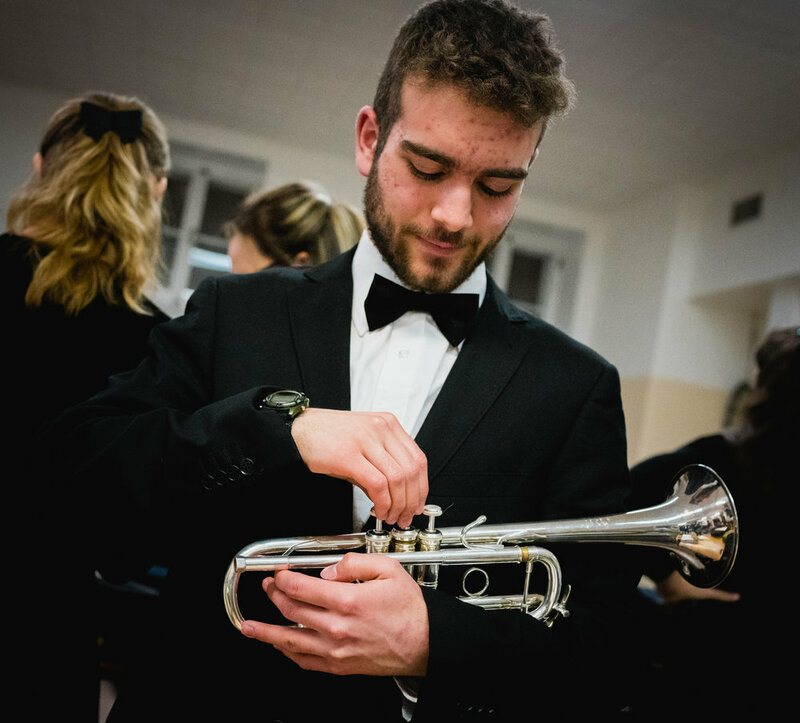 Through this program, students virtually double their orchestral performance opportunities in a given academic year and are exposed to a broad and challenging repertoire. In a typical year, student mentees typically participate in five full concert cycles, which includes up to 7 rehearsals per concert. Sitting alongside and receiving coaching from experienced professionals gives them an opportunity that is invaluable and invaluable experience. The OSO’s Mentorship Program has trained musicians to further their performing careers. 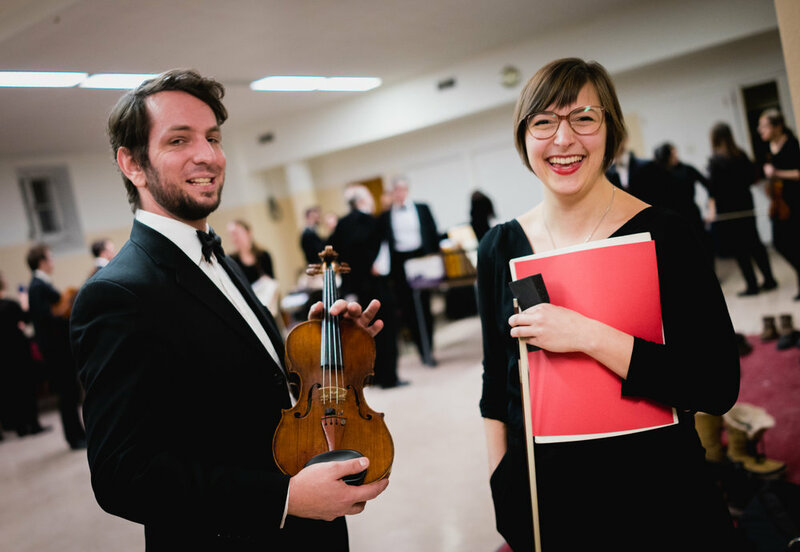 In recent years OSO musicians have moved on to fill the positions of concertmaster of Symphony Nova Scotia, concertmaster of the Edmonton Symphony, principal second violin in Kitchener Waterloo, second violin in the New Brunswick String Quartet, assistant principal double bass at the Winnipeg Symphony, member of the Edmonton Symphony Bass section, and percussionist in the Hamburg State Opera. Many recent members are also currently pursuing Masters and Doctorates at universities in Canada and the United States.